We love Orange is the New Black, and the ladies of Litchfield love reading just as much as we do. Rather than make you squint and pause watching to see all the books they're reading, we rounded them all up in a two-part series for you. 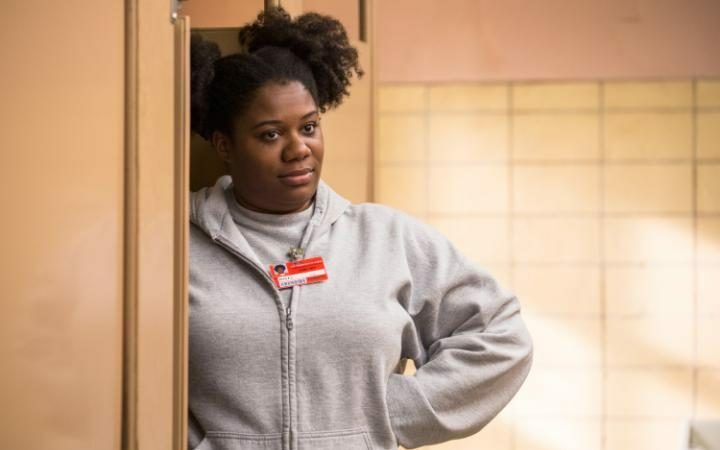 In Episode One of the newest season of Orange is the New Black, Yoga Jones sings Nick Hornby’s praises, sharing with Chapman how much she loved High Fidelity. To celebrate the return of our favorite Netflix drama, we at Quirk books are reading along with the Litchfield inmates. Here’s a dive into the books we spotted in the first four episodes. Piper Chapman indulges in this charming fictionalization a BBC sitcom writing team and their former Miss Blackpool television star Sophie Straw (née Barbara Parker). Chapman knows plenty about giving up everything she knows and starting over, so it’s no wonder she connects with Hornby’s title character, who trades both Blackpool and her birth name for a new life in London, a multi-season television deal, and a shiny new stage name. Cindy Tova Hayes is deeply invested in her newly mitzvahed Jewish identity, so it’s no surprise that she’s picked up Schulberg’s seminal work What Makes Sammy Run? A semi-autobiographical look at Schulberg’s father, this novel tells the rags to riches story of a young Jewish boy named Sammy Glick determined to escape the Jewish ghetto he grew up in. In this coming of age novel, Sammy sets out to climb the Hollywood ladder of success by deceiving and betraying those around him – a game that’s no stranger to Cindy and the rest of the Litchfield inmates. After a particularly personal and racially charged confrontation with her girlfriend, Poussey Washington is seen consoling herself with a copy of David Crabb’s memoir Bad Kid. While Crabb’s writing examines growing up goth and gay in Texas, Poussey Washington could conceivably pen a companion piece to this 2015 memoir. There’s certainly a lot to mine from Washington’s own childhood, growing up a nomadic lesbian army brat fluent in more languages than your average diplomat. The middle third of this season of Orange is the New Black is chock full of literary references and bookworm bonding. Angie calls herself Aslan – screaming “The Lion, The Witch, and the Wardrobe” as she lifts her makeshift weights. Big Boo welcomes Nicky back to “The Shire,” affectionately calling her fellow inmates hobbits. And Cindy and Alison put their religious animosity aside when they discover they both read – and loved – Going Clear. But that’s not all. 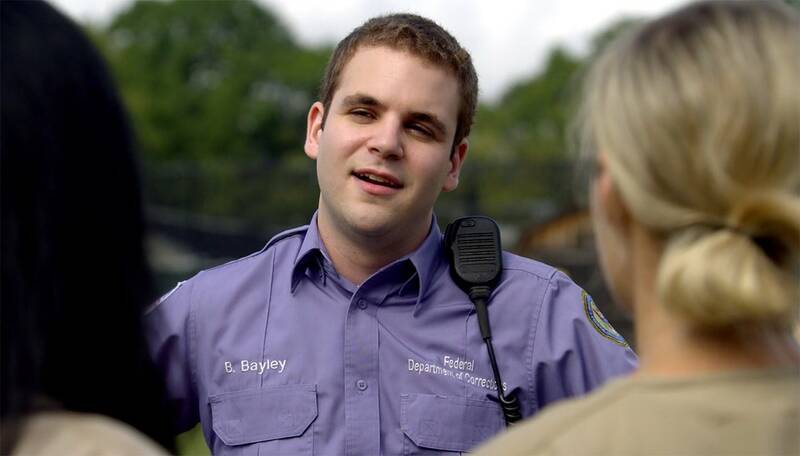 Here’s a dive into the books we spotted in episodes five through eight of Orange is the New Black. We still have a lot to learn about Alison Abdullah, but we are sure hoping that the fact that she’s reading Emotional Intelligence 2.0 is a clue to her past. Published in 2009, this book examines the importance of emotional intelligence when it comes to job performance and running a business. Boasting its status as “the world’s most popular emotional intelligence test” on the cover, Bradberry and Greaves’ book is targeted to both individuals and companies as a tool to successfully and creatively utilize emotion in the workplace. It’s no surprise that Cindy Tova Hayes is an equal opportunity reader, devoting her leisure time to reading novels about both the black and Jewish experience. Americanah takes the reader from protagonist Ifemelu’s first days of college in the United States all the way through her eventual return to Nigeria to start a new life. And Cindy is sure to latch on to the captivating early pages of the novel where Adichie describes the sometimes terrifying – always degrading – undocumented odd jobs her protagonist worked in order to pay tuition and rent. Because the jobs described are not unlike Cindy’s own job in custodial at Litchfield. After several threatening remarks from Piper Chapman, it’s no wonder Hapakuka is caught reading How to Stop Worrying and Start Living. Originally published in 1948, Dale Carnegie said that he wrote this book because he was “one of the unhappiest lads in New York.” As one of the unhappiest ladies in Litchfield, this book is the perfect companion for Hapakuka. We like to imagine Poussey using her librarian superpowers and pressing this tome into Hapakuka’s hands. As a cookbook mogul, it’s important for Judy King to dedicate some time in Litchfield to her writing exercises. Anne Lamott’s manifesto on the craft hits on the usual topics of plot, setting, and character, but it’s her perfectly honed wisdom and humorous anecdotes that sets Bird by Bird apart from other books on writing process. Whether Judy is reading this for the first time or revisiting it after years apart, she’s sure walk away a changed writer. During a trip to Litchfield’s library, CO Bayley notices a copy of The Wise Man’s Fear in Poussey’s to-shelve pile. Eagerly sharing his love of Patrick Rothfuss’ first installment in The Kingkiller Chronicle, he asks to borrow it. Considering his job, it’s no wonder Bayley wants to escape his corrections officer duties by losing himself in this high fantasy novel about the adventurer and (in the Four Corners of Civilization) famous musician Kvothe. But don’t read too quickly, CO Bayley. There’s no telling when Doors of Stone will be released.